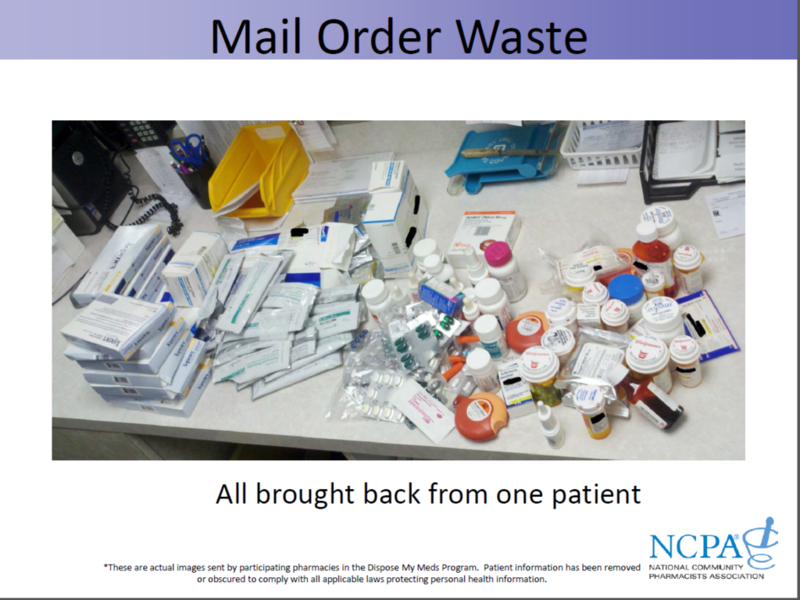 Many large insurance companies try to force its customers to utilize their mail order pharmacy services in order to save money, but the truth is that hundreds of thousands of dollars are wasted in unused or discontinued medications every year with mail order pharmacy services. 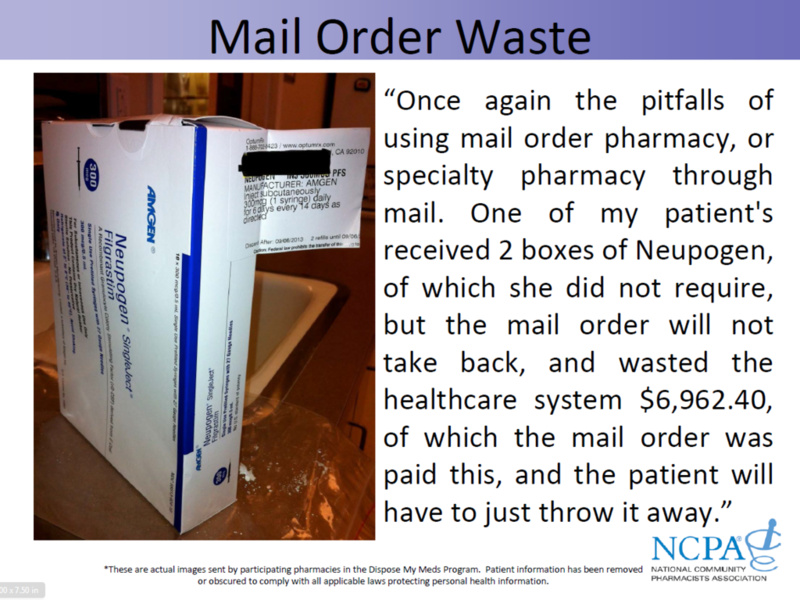 Watch the slideshow below and see EXACTLY how much money is WASTED and then call your insurance carrier and INSIST on doing business with your local community pharmacy. 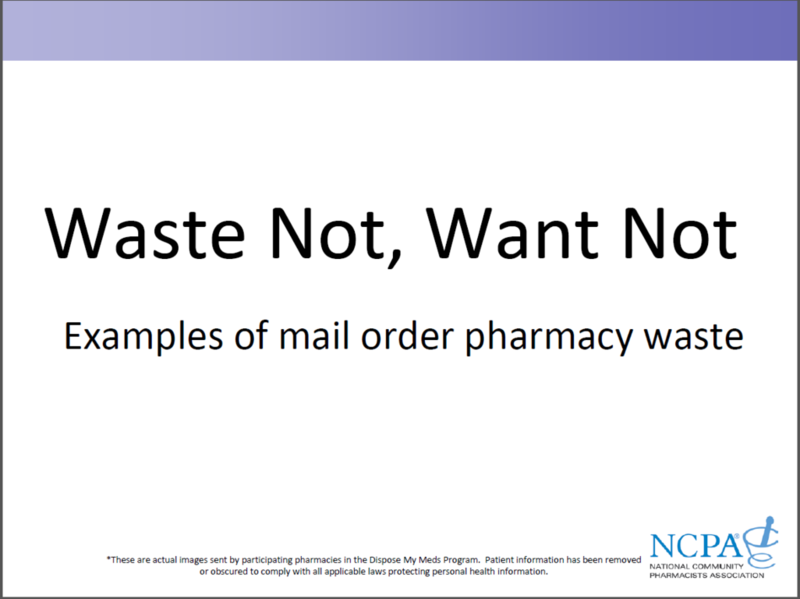 By working together we can eliminate a lot of the waste that occurs with mail order pharmacies and cut health care costs for everyone!! In addition to this, many mail order customers find it very difficult to successfully manage their own medication therapy because they have difficulty speaking with a mail order pharmacist regarding side effects and possible drug interactions. At Sunshine Pharmacy, the pharmacist is ALWAYS available to respond to you directly regarding these topics of concern. 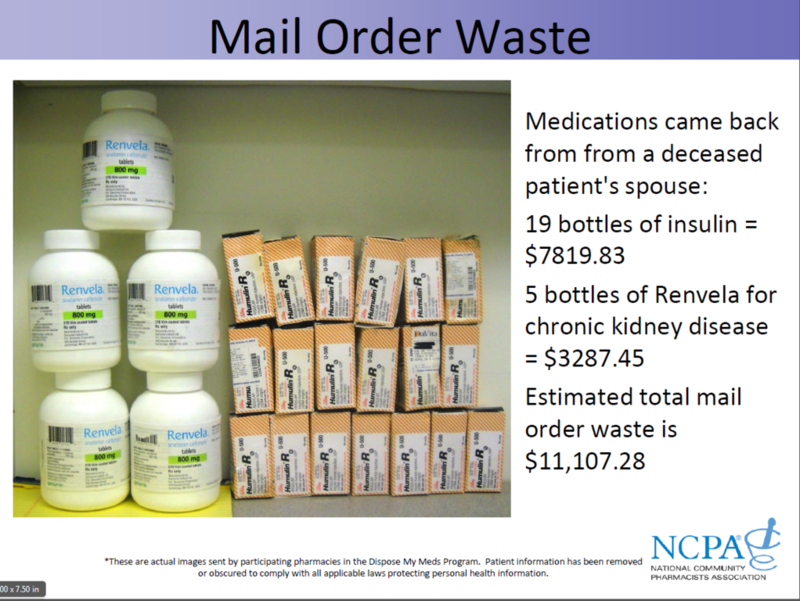 The total of these NINE slides is more than $160,000 dollars in medication waste. A lot of these slide totals are just for ONE patient each!! 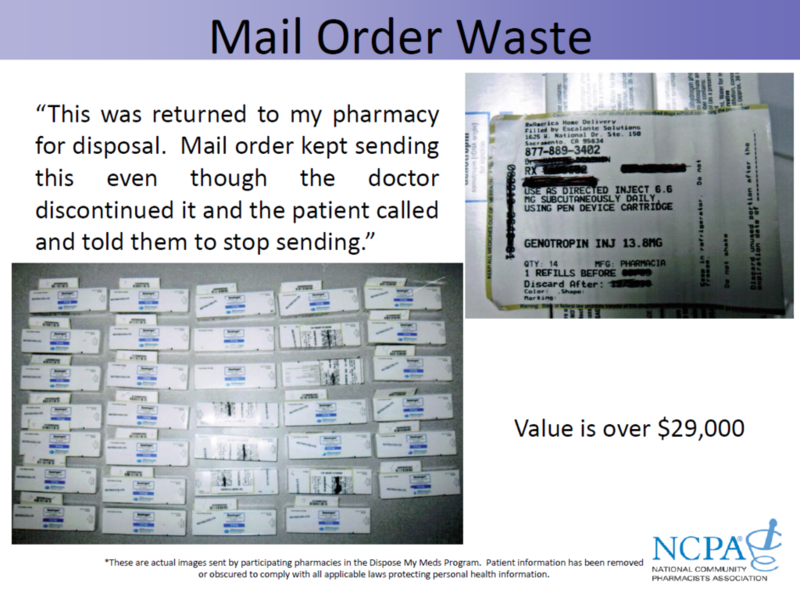 In many cases, the recipients have told the mail order pharmacies that they no longer NEED or WANT these prescriptions, but these pharmacies continue to send them anyway. The profit that they are making off of these drugs far exceeds the cost of the medication, so they continue to bill these prescriptions to the customers insurance company - even though they are not needed!!! 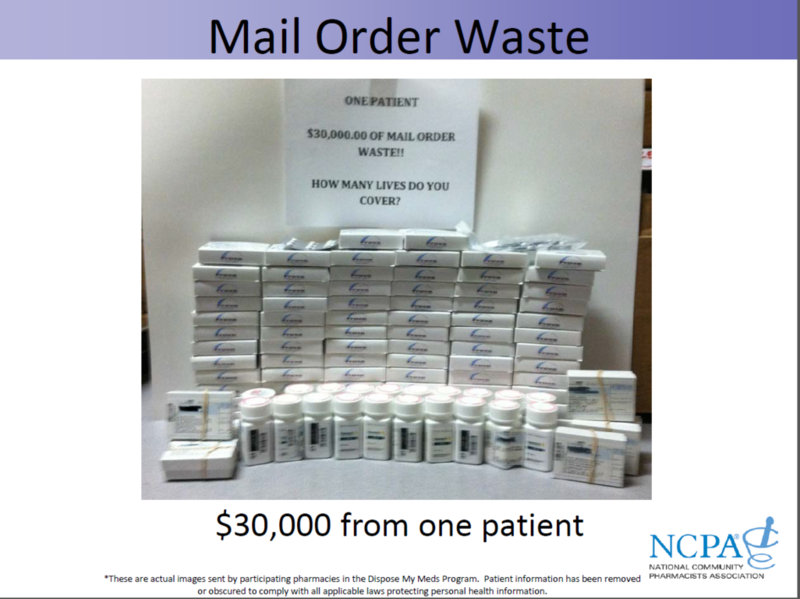 These slides are not "carrier specific" as far as medication waste. 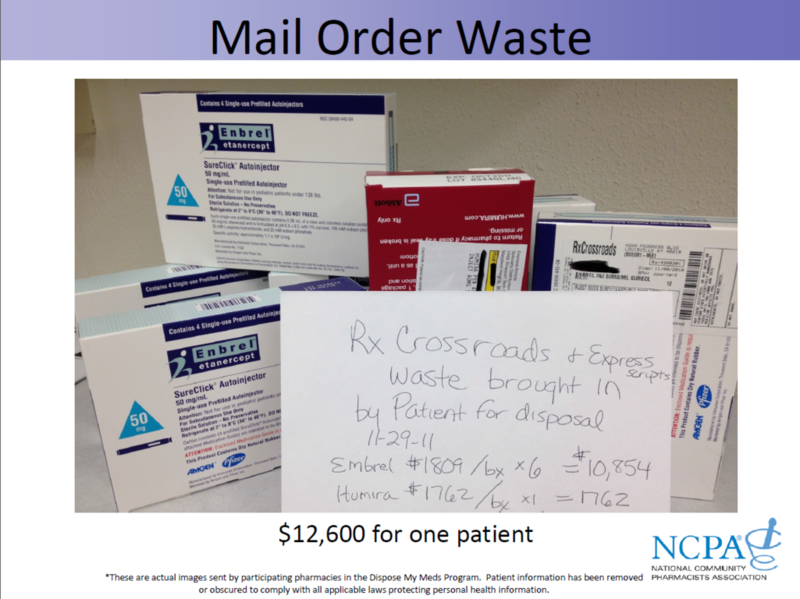 See the other links on this page to see mail order pharmacy medication waste according to major insurance carriers. 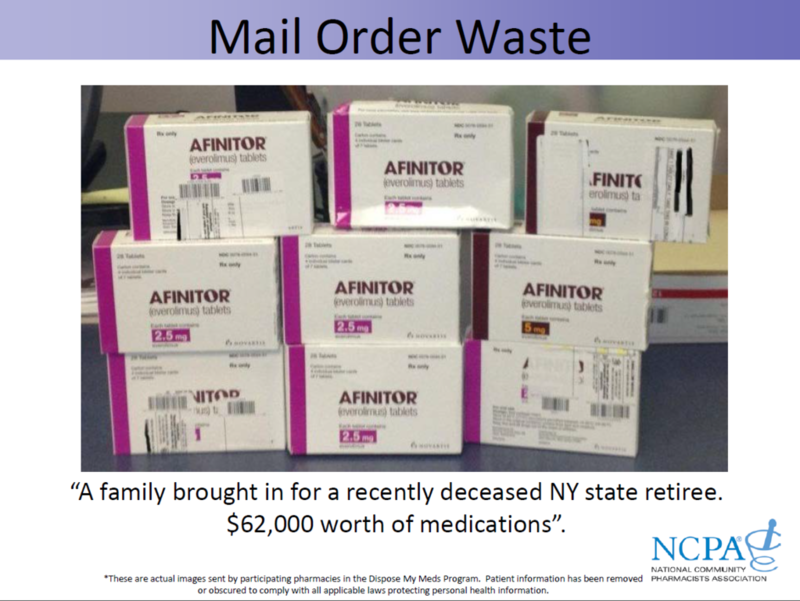 Unfortunately mail order pharmacy waste also extends into the governmentally funded programs as well, such as, Medicare, Medicaid, and Veterans Affairs. 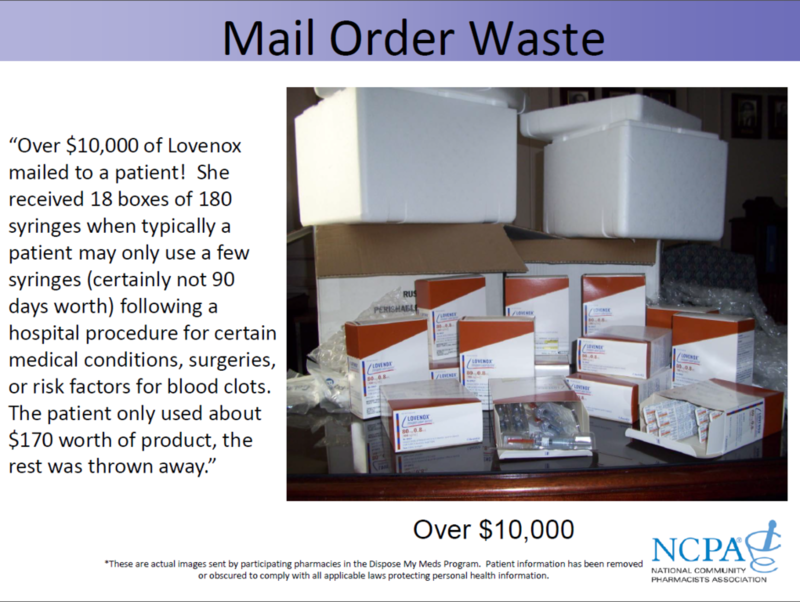 Additionally, the mail order diabetic supplies companies that you see advertised on television are also wasteful in their dispensing of diabetic supplies.